Fisher-Price Smart Interactive Bear Toy Just $39.98! Down From $100! PLUS FREE Shipping! You are here: Home / Instagram / Fisher-Price Smart Interactive Bear Toy Just $39.98! Down From $100! PLUS FREE Shipping! 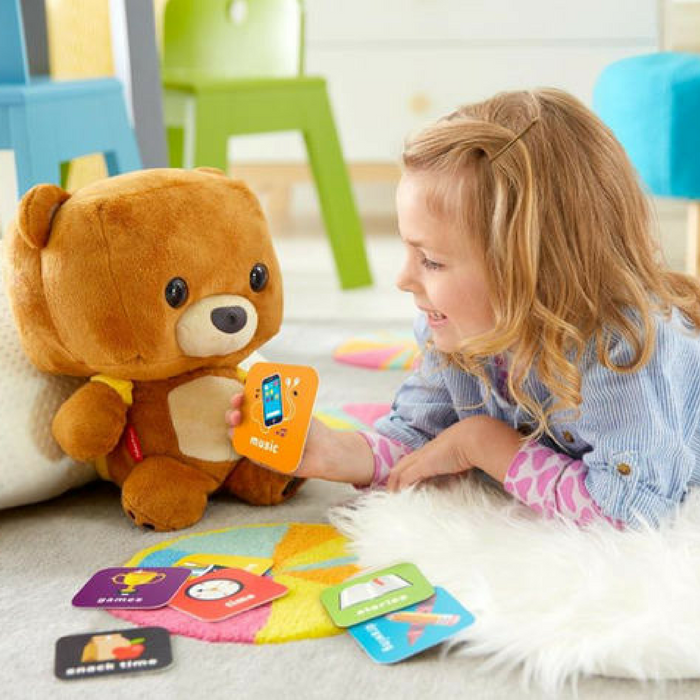 Toys R Us is currently offering the Fisher-Price Smart Interactive Bear Toy for just $39.98 down from $99.99 PLUS FREE store pick up or FREE shipping! Who knew Smart could be so cute? Meet Smart Toy Bear — an interactive learning friend with all the brains of a computer, without the screen. The more your child plays with Smart Toy, the more this remarkable furry friend adapts to create personalized adventures the two of them will love! Sounds like the start of a true friendship… one that will help your child grow socially and emotionally, too. Voice Recognition: Talks and listens and remembers what your child says-the two of them can have actual conversations!